The youngest son of the late Shah of Iran, Alireza Pahlavi, committed suicide in Boston on Tuesday, the latest tragedy to afflict the exiled Persian royal family. The 44-year-old Pahlavi's death darkens his family's complex legacy at an awkward moment, as the clan is seeking to rekindle its ties with Iranians and identify itself with the country's democratic opposition movement. Since 1979, when the Islamic revolution ousted his father from power, Pahlavi had lived a quiet life in exile, one very much out of the public eye. Cameras rarely pursued him, and most Iranians, both in the country and among the diaspora, rarely saw a photograph of him before his death. Pahlavi's older brother Reza, first in line to the throne, carried the family mantle from a base in suburban Washington, D.C., maintaining a tepid but enduring campaign to rescue Iran from its clerical government. Abbas Milani, director of Iranian studies at Stanford University and the author of a new book on the Shah, noted a family record of depressive behavior. "Sadly," Milani wrote in an e-mail, "the Shah did have a propensity for depression. In nearly every major profile of him prepared by the CIA, or British and American embassies, there is some allusion to this brooding, melancholy tendency. One report calls him 'Hamlet-like.' The other side of this tendency was the Shah's love of speed, fast cars, and flying. The sad young man [who] killed himself apparently shared both qualities." However, the family put the suicide in national terms in a message on Reza Pahlavi's website, noting that Alireza was "deeply disturbed by all the ills fallen upon his beloved homeland" and "struggled for years to overcome his sorrow." 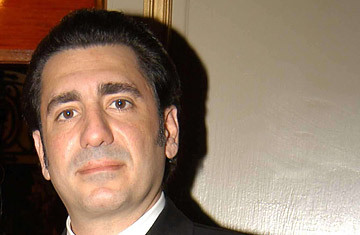 The response echoed the family's reaction to the 2001 London suicide of Leila Pahlavi, the youngest of the Shah's three daughters. Muhammad Sahimi, an Iran watcher who writes for the website Tehran Bureau, says he considered the rationale a stretch. "Most Iranians are concerned about Iran. But, almost none commit suicide because of it," he wrote in an email. "This is a just a sheer political attempt to gain sympathy and perhaps support of Iranians inside Iran." Other Iranians online sought to put the Pahlavi legacy in a more modern perspective, arguing that although the family members lived in luxury, they at least sought to serve Iran, whereas the mullah-princes of Iran's clerical elite make no pretense of building the nation. For many young Iranians who are straining under double-digit inflation and social repression, the notion that a gilded and privileged son of royalty would take his own life came as its own shock. The swift platform for Internet debate that Pahlavi's suicide has afforded young Iranians underscores the former royals' ability to polarize Iranians politically. It also highlights how few opportunities young Iranians have had to engage in meaningful, open discussions about their country's future since the authorities' brutal crackdown on dissent last year. Press TV, the government's English-language news network, ran a brief story on Pahlavi's death under the headline "Son of ex-dictator of Iran kills himself." While Iran's Islamic government does not view the exiled royal family as a threat, it typically seeks to keep the family out of the news. The radical clerics who came to power in the 1979 revolution were deeply hostile to monarchy, sometimes going so far as to refute the historicity of Persia's pre-Islamic kings. Alireza Pahlavi's academic work, including his study at Columbia and Harvard universities, concentrated on ancient Iran and the kingly empires that were reviled and at times denied by its modern mullahs. Azadeh Moaveni, the author of Honeymoon in Tehran, was TIME's Tehran correspondent.